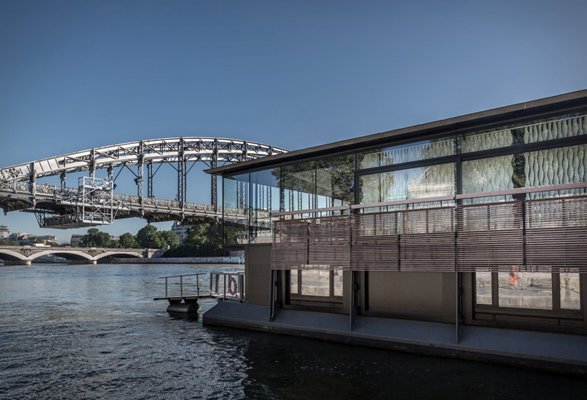 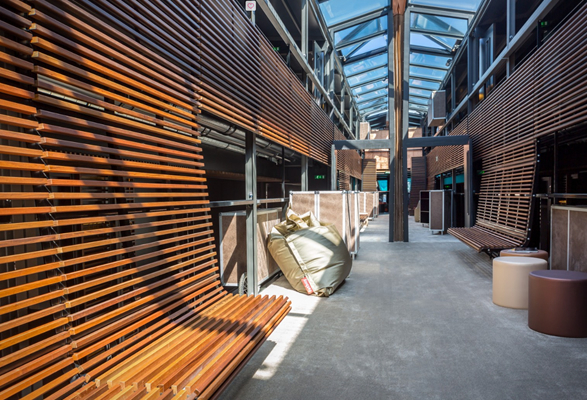 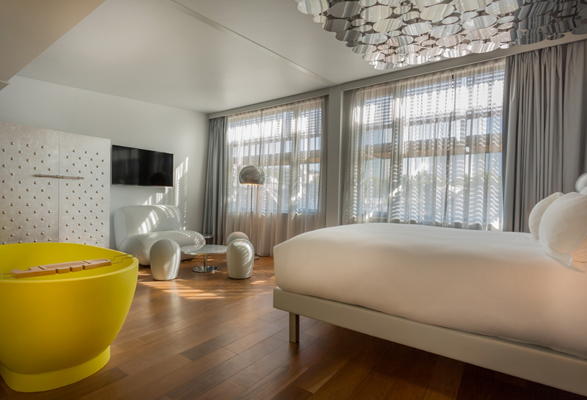 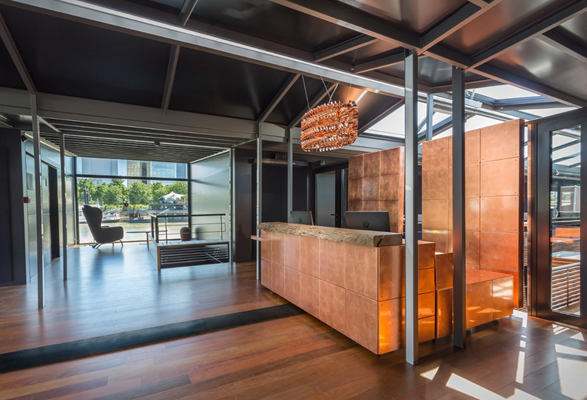 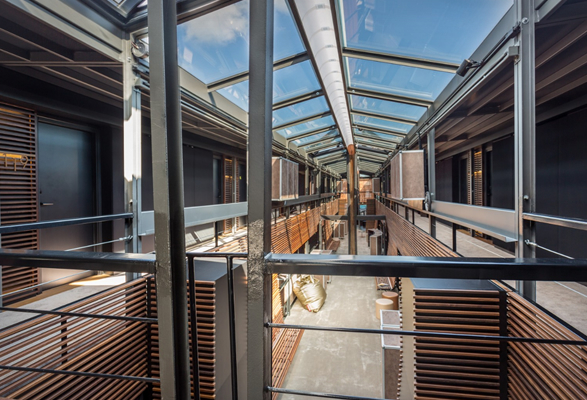 The recently opened OFF hotel in Paris offers guests a unique experience, an opportunity to stay in the city’s first floating hotel and bar. 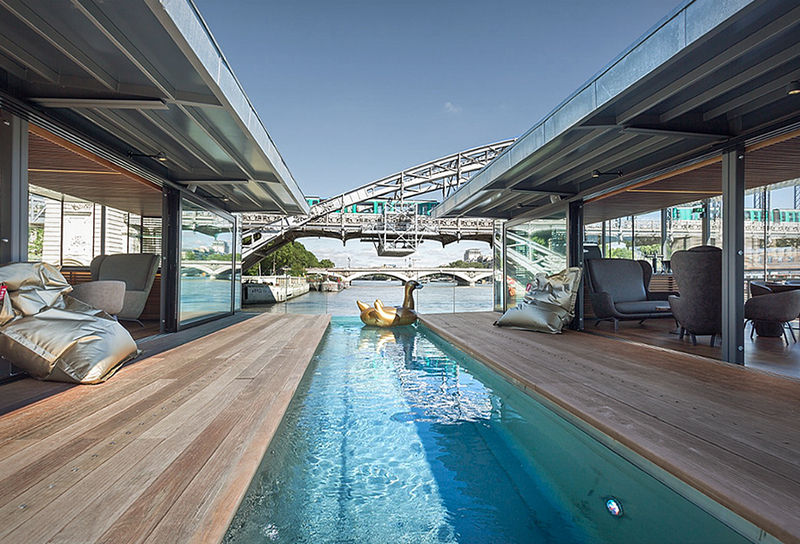 Paris surely has no shortage of luxury accommodations, none of which, however, compare to this experience due to the unique location and concept. 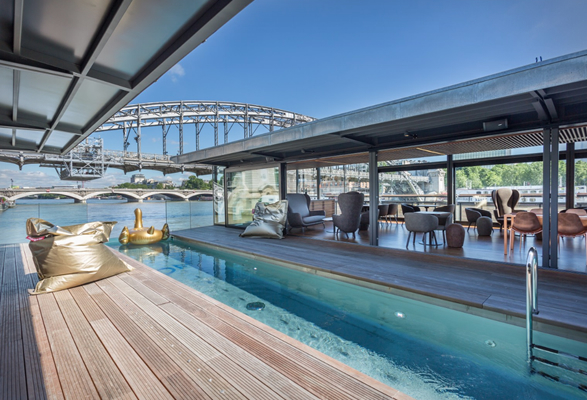 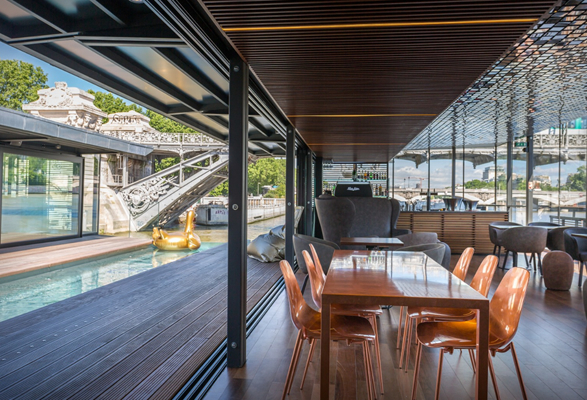 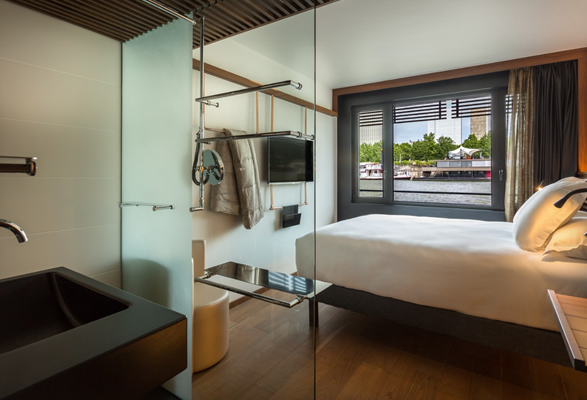 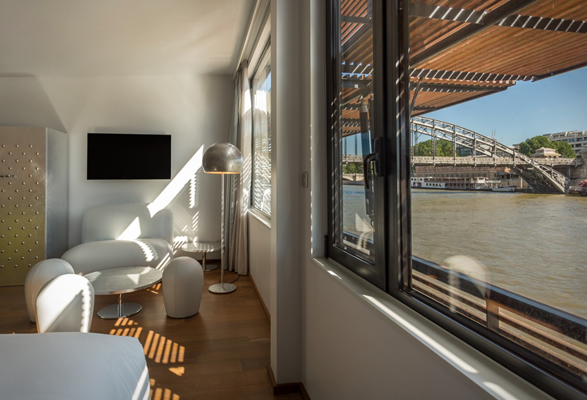 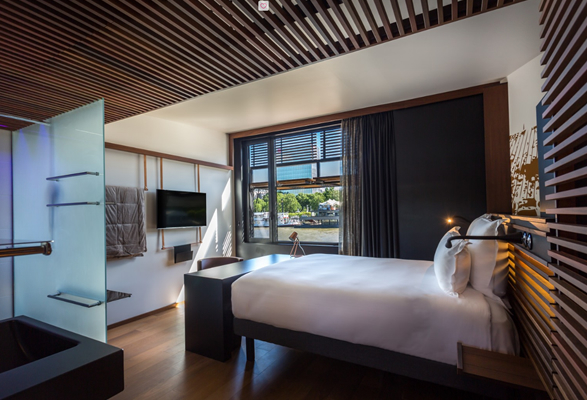 Docked in the river Seine, the floating craft boasts 54 rooms, four suites, a plunge pool, a summer terrace area, and a cocktail bar that features panoramic views of the famous river and the beautiful Charles de Gaulle bridge.